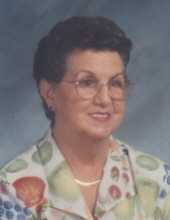 Juanita Mae Mollohan, 92, of Charleston passed away Friday, March 29, 2019 at Hubbard Hospice House, Charleston following an extended illness. She was born February 7, 1927 in Roane County, a daughter of the late Thomas “Bill” and Icy Marie Langford Rader. Juanita worked for the West Virginia State Health Department and retired from there after many years of service. Following retirement she worked several years for Stone & Thomas Department Stores. She enjoyed crafts of all kinds as well as knitting, sewing and decorating. She also enjoyed traveling back and forth to her second home in Florida and working in her garden. She enjoyed spending time with all her family and had a special bond with her grandson, Brian who would help her with her gardening and crafts and accompany her on her trips to Florida. She is survived by her children Anita Harrison of Sissonville and Jeffrey Fields (Jackie) of Ohio; grandchildren Sarah, John, Michael, Christina, Lana, Laura, Jason, and Brian. She is also survived by several great and great-great grandchildren and daughter-in-law, Mary Fields of Braxton County; special companion, her dog, Toby. In addition to her parents she was preceded in death by her first husband Denver Webster Fields and second husband, Jack Mollohan; children Rose Marie Fields, Michael Fields, and Johnny Fields; siblings Arnold, Evelyn, Vivian, and Judy, Ila, Lester, and Gates. She was also preceded in death by a granddaughter, Emily Harrison. To plant a tree in memory of Juanita Mae Mollohan, please visit our Tribute Store. "Email Address" would like to share the life celebration of Juanita Mae Mollohan. Click on the "link" to go to share a favorite memory or leave a condolence message for the family.